Despite the bad rap about diminishing influence, radio is still a huge listening and discovery source for a lot of people, and college radio is a great promotion option for indie musicians. 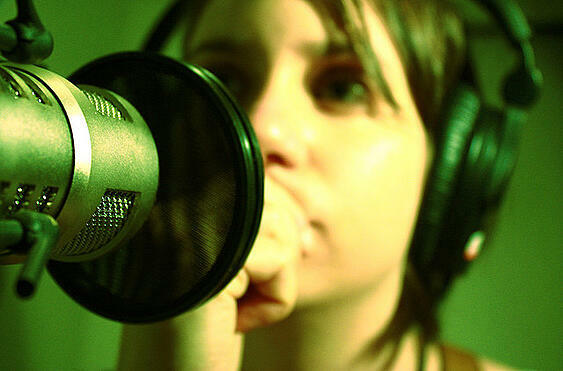 College radio promotion objectives are not the same as strategies employed by major labels. While majors try to flood the market in the short-term to sell albums, you are trying to create and build a long-term relationship with new and current fans. Getting college radio play is certainly something you can do on your own with a little knowledge and strategy from the New Artist Model online music business course. It'll take a bit of work on your part, but it’s possible! The key is to really focus on hyper-targeting stations. Don’t try to get every college radio station in the country playing your music – you’d only be creating a ton of unnecessary work for yourself. Your radio promotion and gigging strategies should build off each other. With that in mind, you need to be thinking in terms of getting fans to your shows, giving them a unique experience, and sharing exclusive information – not just selling albums or creating awareness. In addition to targeting stations that play your genre, focus on stations in cities in which you frequently tour. That way, you’re opening up the opportunity to connect with fans on another level beyond just recorded music. Especially as an indie artist who can’t afford heavy rotation on a huge station, you want to do anything you can to get your music to stick. Unique content and live shows are both great options. Send extra CDs or tickets to upcoming gigs for giveaways. Besides free stuff, radio stations also love sharing interesting content with their listeners. In your press kit, offer up an interview, either in person or over the phone, to air on the station. You could even do a song or two live to turn it into more of an intimate and exclusive event for the radio station and listeners! You can find the radio station’s address on their website, but you want to make sure you’re sending your music to someone who will actually care. Do your research to find out which DJs would be most interested in your sound. The station’s website will often list the DJs, their contact information, and even briefly describe their program and musical preferences. Listen to the DJs to get a feel for their style, and then send your music directly to them. If you can’t get ahold of that information, address the relevant genre-specific sub-director or the music director instead. When dealing with radio stations, you’ll want to send a physical copy of your album along with a one-page press kit. The press kit should give a little background on who you are, the name of the album, relevant tour dates, who you sound like, your website, and contact information. Unlike most of the industry, radio still likes physical CDs. Not only is the music usually higher quality, but think about how bogged down a station’s inbox would be if thousands of musicians emailed uncompressed WAV files. Check in with the station a week or two after you send your album. Email is fine, but a phone call is better. Introduce yourself and ask if they’ve listened to your music. If you want to go the extra mile, offer them something extra like an interview, a live acoustic performance, or a giveaway. It may be enough to sell them 100 percent on playing your music. Of course, radio play is just one piece of the puzzle when it comes to marketing and promoting your music. On top of that, you need to know how to use blogs, social media, and your email list to grow your fanbase, and even that’s just scratching the surface. In the New Artist Model online music business course, you’ll learn how to turn your music into a successful business – a business where you’re the CEO! You’ll create an actionable and personalized plan that will help you achieve a career in music, and you’ll be able to do it all with the resources you have available right now. 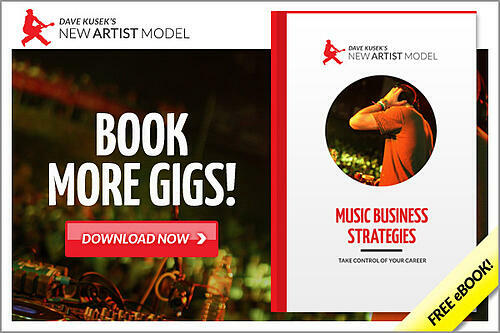 If you’d like to learn even more great strategies from the New Artist Model online music business courses, download the free e-book. You’ll learn how to think of your music career like a business and get some great marketing, publishing, and recording tips! Dave Kusek is the founder of the New Artist Model, an online music business school for independent musicians, performers, recording artists, producers, managers, and songwriters. He has worked with musicians his entire career, providing tools, mentoring, and knowledge necessary to be successful in the music industry.